This weekend we will be getting dressed up as vikings and hanging out at Winterfest with the Huscarls. 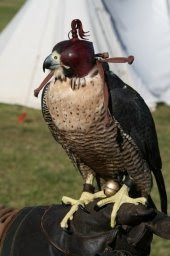 I’m looking forward to having a play with my longbow and watching the very gorgeous falconry displays. 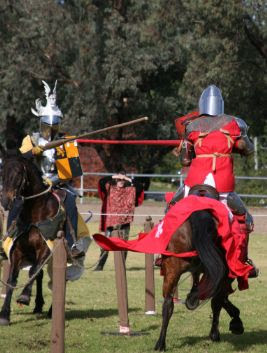 Jousting, fighting displays and a working trebuchet also promise to be lots of fun. So, if you’re in Sydney and at a loose end this weekend come along, it’ll be awesome, I promise! I’m really hoping we’re going to this, just have to convince DH. I hoped the working trebuchet might motivate him but he’s proving difficult. I want a peregrine falcon!!! If there’s a spare one floating around Mim will you pick it up for me pahllleeeese??? God I love those birds. I would LOVE to see a working trebuchet – that is uber cool. Oh, and your beads look very authentic! We’d totally be up for that if we were in Oz. How was it? I would have liked to have gone, it looks like fun, but it so wasn’t going to happen.